This was just some of the feedback received at last month’s first-ever Spectrum Series – a new workshop series hosted by the Department of Behavioral Health and Intellectual disAbility Services Person First Initiative’s Lesbian, Gay, Bisexual, Transgender, Queer/Questioning, Intersex and Allies/Asexual (LGBTQIA) Task Force. The Series, held in collaboration with community agencies, providers, and the Mayor’s Office of LGBT affairs during LGBTQIA History Month, aimed to raise awareness, promote acceptance, and reduce stigma associated with LGBTQIA communities by offering “coffee talk” like workshops and panels hosted by different content experts from around the Philadelphia community. 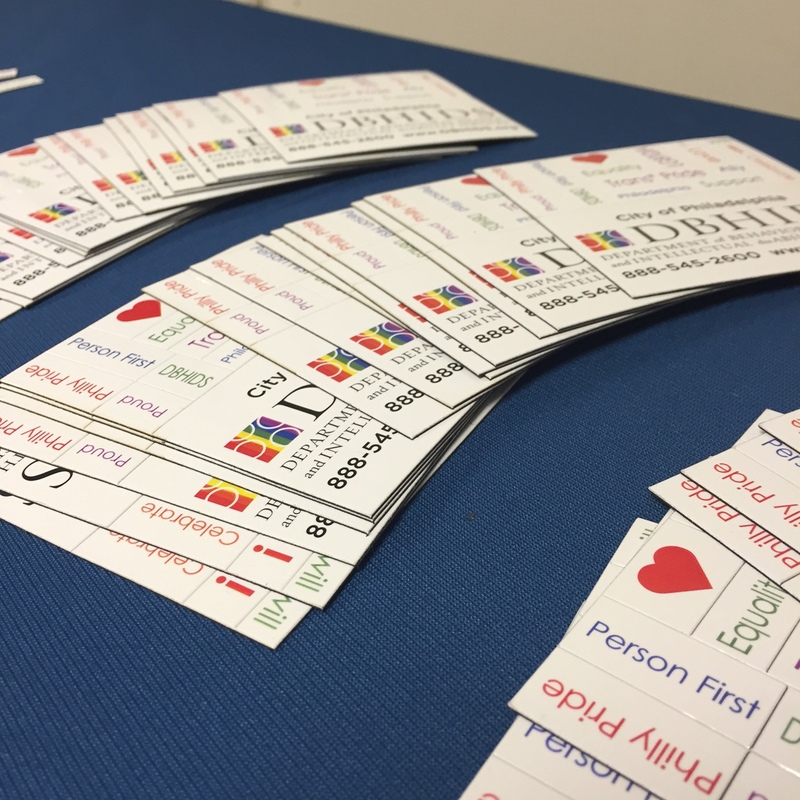 The five-part weekly series premiered during LGBTQIA History month and covered a variety of important topics, starting with the first workshop about creating more welcoming and affirming environments for LGBTQIA identified individuals who receive behavioral health services. Conversations around using appropriate language, understanding the difference between sexual orientation and gender identity and strategies to enhance better service delivery were some of the key points discussed. Week two of the Spectrum Series hosted by Resources for Human Development highlighted LGBTQIA persons in recovery. A panel of dynamic persons in recovery shared their experiences navigating the system, accessing services, facing stigma and discrimination, and overcoming adversity. “There needs to be more safe recovery spaces for those who identify as Trans, we do not have enough spaces in the city and a safe space is what helped me get the best out of my recovery,” said one of the panelists. The meeting topic spurred a lively discussion about how providers can gain a better understanding of the disparities the LGBTQIA recovery communities face and how they can be better allies and advocates for the individuals. Week three was held at the William Way Community Center in Philadelphia centered on LGBTQIA law, policy and protection. Co-presented by Nellie Fitzpatrick of the Mayor’s Office of LGBT Affairs and Rue Landau, Executive Director of the Philadelphia Commission on Human Relations and the Fair Housing Commission, the discussion shed light on how providers can become better acquainted with policies that affect the rights of the LGBTQIA people that they may serve. Fitzpatrick highlighted important language to be aware of when addressing LGBTQIA identified people and explained the difference between gender identity and sexual orientation. Meanwhile, Landau discussed fair housing policies and provided the audience with important information and resources about accessing housing, and promoting self-advocacy for the individuals. Hosted at the Youth Health Empowerment Project (Y-HEP), week four of the series focused on the voices of LGBTQIA Youth. Four Y-HEP youth members served as panelists and shared their experiences as Queer youth. They shared many personal stories from navigating the juvenile justice system, to receiving behavioral health services to undergoing bullying and discrimination. 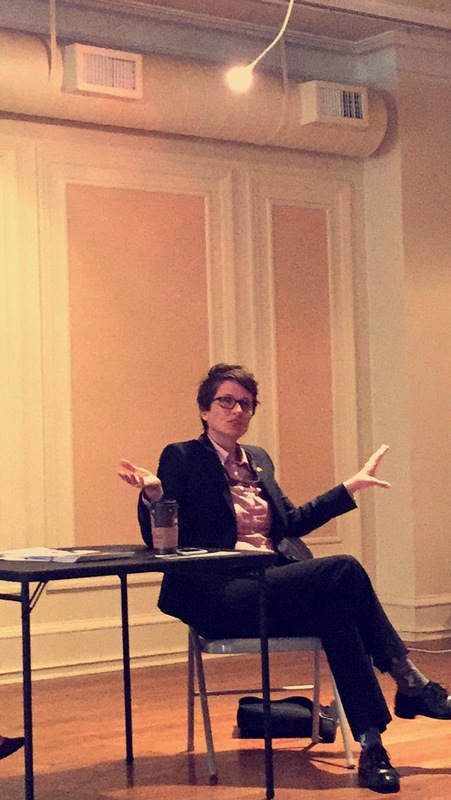 The final week was hosted at Galaei and focused on Trans* Wellness. The women of the Trans* Health Information Project ( TIP) Deja Lynn Alverez and Naiymah Sanchez provided a space in which providers and community members were able to have an open, safe and judgment-free dialogue about the Trans* communities. Conversations about residential treatment living arrangements, gender neutral bathrooms, pronoun usage, and what action steps can be taken to ensure providers are offering the best services to all people, regardless of gender identity/expression. Although the LGBTQIA History Month is over, the conversations and topics discussed at last month’s Spectrum Series continues. We hope to bring the Spectrum Series to the community twice a year and highlight other important topics related to the LGBTQIA communities because we understand the importance of engaging and mobilizing the community to help people lead healthy, happy and stigma-free lives. Stay tuned for upcoming events by checking out the Healthy Minds Philly calendar. For more information about the Spectrum Series and/or the Department’s Person First Initiative’s LGBTQIA Task Force, email carly.banes@phila.gov.